Our staffing managers have a combination of over 130 years of industry experience and they specialize in executive search and recruiting for the real estate market. 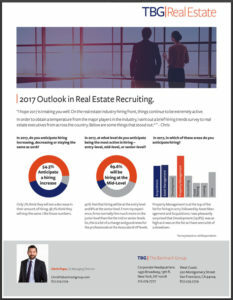 Chris runs TBG’s national real estate search practice with a team spread out across multiple states. He started with TBG in 2005 and has been integral to their growth and evolution from a regional boutique to a national firm. Chris has been an advisor to top real estate executives throughout the US, is quoted in numerous industry trade publications and hosts a widely viewed industry newsletter and podcast. 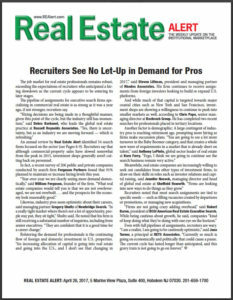 He enjoys helping real estate firms grow their business and advising them on critical hiring decisions. Chris began his career in the real estate & legal fields. He has been an active member of such volunteer organizations as The Gubbio Project and The Society of St. Vincent de Paul. A graduate of Rutgers University – New Brunswick, Chris holds a BA in American Studies. I actually first met Chris as a candidate. He was very helpful in setting up interviews for me. When I then started Benchmark Real Estate Group he was the first person I called when we started to grow our team. 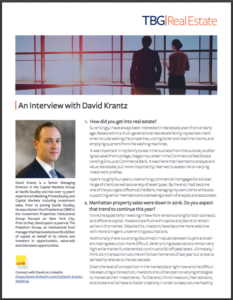 His knowledge for the NYC real estate job market is unsurpassed. He has been a trusted and valuable resource and friend for many years and I look forward to continuing to work with him. Belveron Partners is a private real estate investment platform with a very well defined niche in the affordable and workforce housing industry. So finding the right people with the right experience was our highest priority. When we decided it was time to grow we knew that finding the right combination of experience and cultural fit was crucial and no easy task. Chris Papa & TBG nailed it on both aspects and we came away very impressed with the experience and will continue to use them as our recruitment advisors.